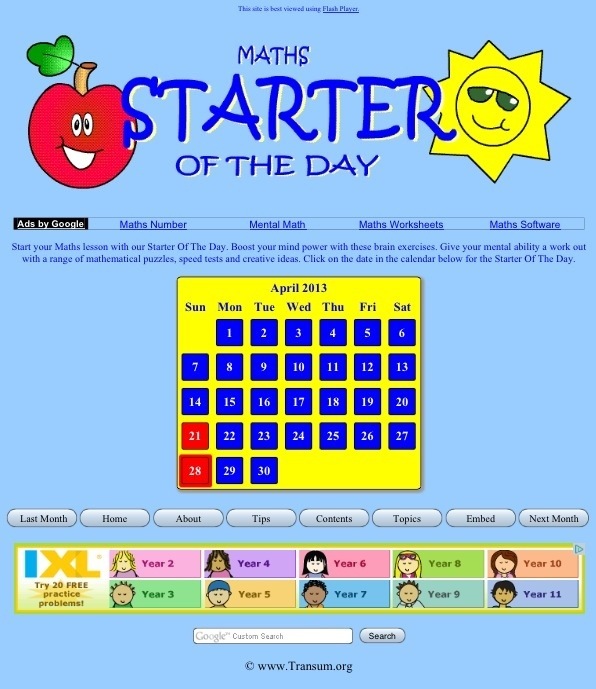 A useful site that gives you a different maths starter for everyday of the week, just click on the calendar date and the interactive starter appears. There’s also a categorised section so you can pick starters relevant to your topic choices and you can review starters from previous dates. It’s a handy tool to get the students going straight away and could be accessed by students independently if you have computers/tablets in the room. 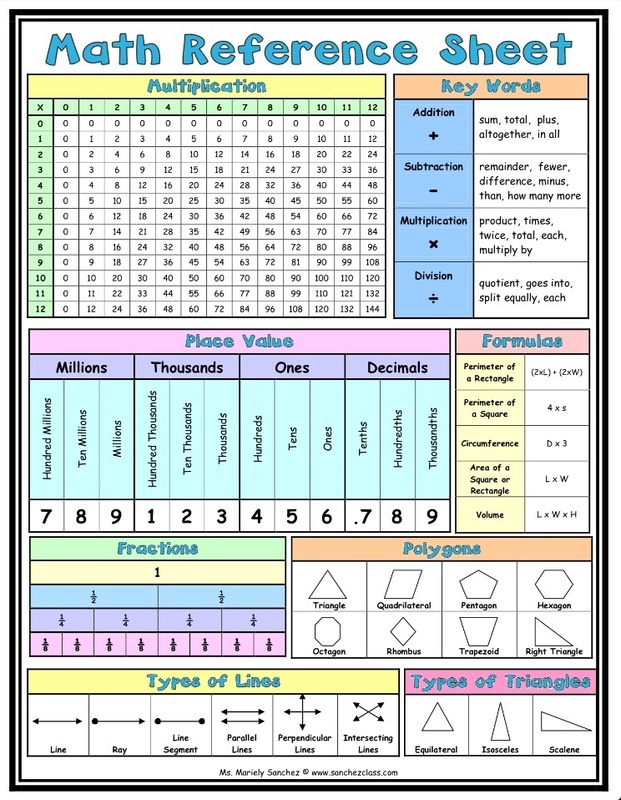 A great sheet to support students with basic maths concepts. This sheet can be given to students at the start of the year and stuck into their books or the front of their folders for future use. It also makes a great poster for the class wall. 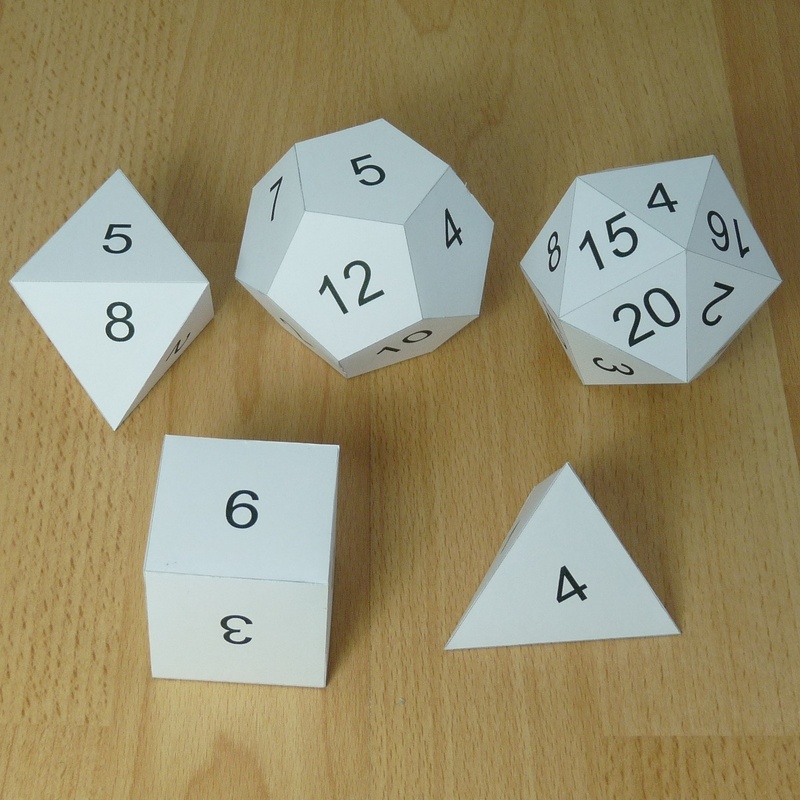 This site has hundreds of shape templates that can be printed off and cut out then assembled by students. Works on the principle that if they make it then they’ll remember it! There’s lots of other uses for the shapes and activities to carry out, the site is vast.